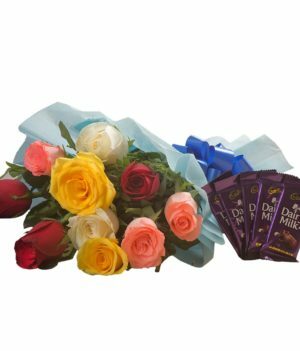 Bunch of 12 Long Stem Fresh Red Roses in a cellophane Packing and ribbon bow with 5 Cadbury Dairy Milk chocolates (14gm each). 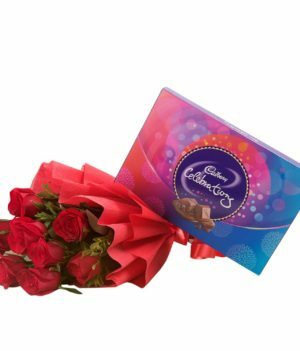 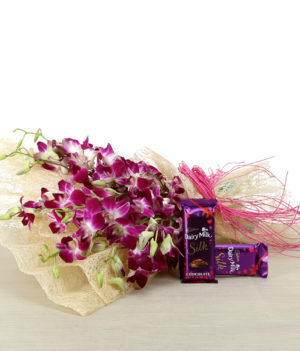 Gift your companion something more than friendship like this combo of red roses and dairy milk chocolates that is presented by wishbygift.com. 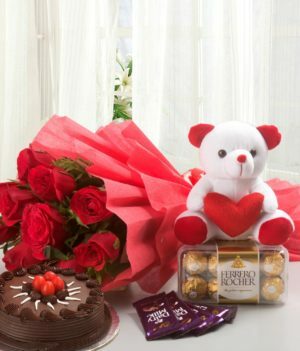 This remarkable gift will definitely express your feelings for someone close to you. 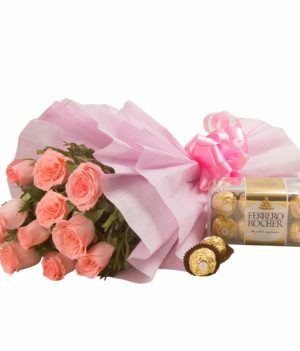 Whether it some special occasion, or just a random day, do not fail to make your closed ones feel special. 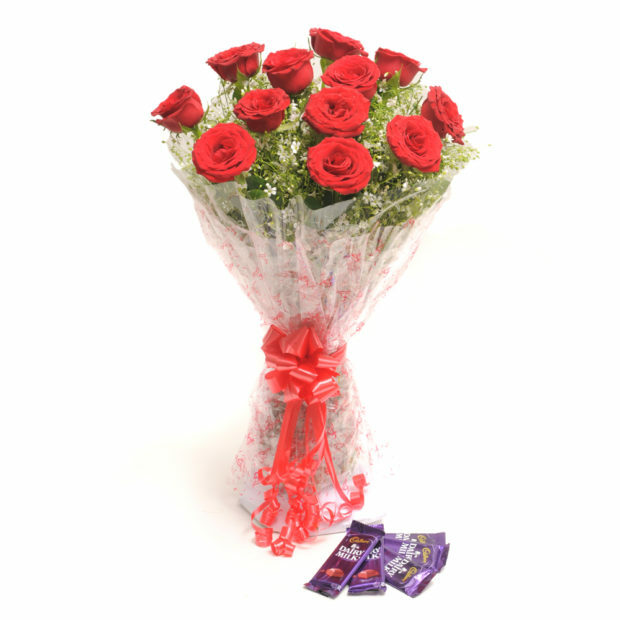 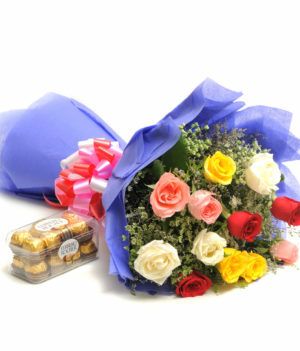 The red roses in this combo are wrapped up in a cellophane packing with ribbon bow that makes them look attractive.